Hawaii is the most isolated population center on Earth. It is 2,390 miles (3,846 km) from California, 3,850 miles (6,196 km) from Japan and 4,900 miles (7,886 km) from China. The state of Hawaii consists of eight larger, populated islands (with the exception of the island of Kahoolawe, which is not populated) and 124 small, uninhabited islands, reefs and atolls stretching from Nihoa, located about 280 miles (450 km) northwest of Honolulu, all the way to the Kure Atoll, located further northwest. The state of Hawaii encompasses all of these islands except for Midway Atoll, which is administered by the U.S. Fish and Wildlife Service (FWS) as the Midway Atoll National Wildlife Refuge. The eight main Hawaiian islands make up 99 percent of Hawaii's total land area of 6,425 square miles (16,642 square km). The remaining one percent encompass less than 6 square miles (15.5 square km). The Hawaiian archipelago spans the distance of 1,523 miles (2,451 km), making Hawaii the longest island chain in the world. When measured from east to west, Hawaii is the second widest state in the United States, after Alaska. Hawaii shares the same general latitude of 20°N with cities and environments such as Hong Kong, Mecca, the Sahara Desert and Mexico City. The state of Hawaii has four counties: City and County of Honolulu, Kauai, Maui and Hawaii (the Big Island). The highest recorded temperature in Hawaii is 100 degrees Fahrenheit (37.8 C), measured in Pahala on April 27, 1931, and the lowest is 12 degrees Fahrenheit (-11.1 C), measured on Mauna Kea on May 17, 1979. (The lowest temperature under 3,000 feet (914 m) altitude was 56 F/13.3 C). Among all the 49 continental United States (except Alaska), Hawaii has both the highest state minimum of 12 F (-11.1 C) and the lowest state maximum of 100 F (37.8 C). (Alaska's highest recorded temperature is also 100 F/37.8 C). Hawaii's average daytime temperature in July is 82 F (27.7 C) and the average daytime temperature in January is 72 F (22.2 C). Hawaii is the only U.S. state that grows coffee. Coffee plantations in Hawaii make up 6,200 acres. In 2003, 8.5 million pounds of coffee were produced. Sugar is mainly produced on Maui and Kauai, on altogether 70,000 acres. In 2002, 340,000 tons of raw sugar were produced. One ton of water is needed to make a pound of sugar. Hawaii produces about 320,000 tons of pineapple each year. Hiram Fong of Hawaii was the first Asian-American in the Unites States Senate. Fong is a descendant from Chinese immigrants and was elected to the Senate in 1959. In the 2000 census, more than 20 percent of Hawaii's population claimed multi-ethnic backgrounds, far more than any other U.S. state. Hawaii is the only U.S. state whose majority of people are non-white. Hawaii has its own time zone. It's called Hawaiian Standard Time. There is no daylight savings time in Hawaii, which means that in summer, Hawaii is two hours behind the U.S. West Coast, while in winter, Hawaii is three hours behind the U.S. West Coast. Among all U.S. states, Hawaii has the highest percentage of women in the workforce, about 63 percent as of 2003. More birds have become extinct in Hawaii than in any other part of the world. A total of 26 species died out and 27 more are endangered by changes in their natural habitats, forest destruction, mongooses and man. The Hawaiian Islands National Wildlife Refuge northwest of Kauai is the world's largest bird sanctuary. It is home to many seabirds. Hawaii had the oldest newspaper west of the Rocky Mountains - the Sandwich Island Gazette, 1836-1839. Hawaii has the highest number of married couples living with others, mainly because Hawaii has the lowest percentage of home ownership. Hawaii has the highest life expectancy in the United States. Life expectancy for males is 75, for females 80 years. Hawaii has the fewest overweight people in the United States. About 19.7 percent of Hawaii residents are overweight, compared to about 30 percent on the mainland. Hawaii has a unique way of giving directions. To point people in the right path, local residents use “makai,” which means toward to sea and “mauka,” meaning toward the mountains. Honolulu is the "largest" city in the world. That's because Hawaii's state constitution states that any island not named as belonging to a county belongs to Honolulu. 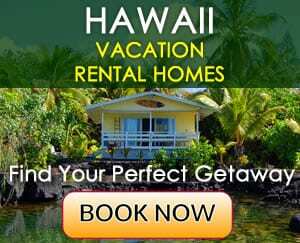 This makes the entire island of Oahu, where Honolulu is located, plus all the other small, uninhabited islands, known as the Northwestern Hawaiian Islands (with the exception of Midway Atoll), part of Honolulu. Honolulu is about 1,500 miles (2,414 km) long. Or in other words, it spans the distance from Los Angeles, California, to Denver, Colorado. Oahu is home to the world's largest wind generator. The windmill is located on the top of a 20-story tower. It has two blades, each measuring 400 feet (122 m) in length. Foster Botanical Garden near Iolani Palace was built in 1855, which makes it the oldest garden in Hawaii. Waikiki attracts 72,000 visitors on any given day. That's as much as 44 percent of all tourists present in the entire state of Hawaii. Iolani Palace, located in downtown Honolulu, is the only royal palace in the United States. Electric lights illuminated Iolani Palace four years before the White House in Washington D.C. had them. More people live on the island of Oahu than in the entire state of Alaska. Oahu's population was 953,307 (2010 Census), while Alaska's population was 710,231 (2010 Census). Oahu has a land area of 596.7 square miles (1,545.4 km²) compared to Alaska's land area of 663,268 square miles (1,717,854 km²). Haleakala Crater on the island of Maui is the world's largest dormant volcano. Hawaii has many plants that are endemic to the islands. One of the best-known is the Haleakala silversword on Maui, which only grows in a 1,000 ha (2,471 acre) area at an elevation of 6,890 to 9,843 feet (2,100 to 3,000 m) within the Haleakala National Park. The silversword flowers only once at the end of its lifetime. It takes about 15 to 50 years to grow. Hawaii has the oldest school west of the Rocky Mountains. It was founded in Lahaina in 1831. The famous Road to Hana on Maui's north shore is a 55-mile long, narrow road and features 617 curves and 26 bridges. It has some of the most breathtaking oceanfront scenery. Kauai is home to Waimea Canyon, also known as the "Grand Canyon of the Pacific." It measures about 3,000 feet (914 m) in depth and 12 miles (19.3 km) in length. Kauai is the oldest of the main Hawaiian Islands. It's over six million years old. Kauai, also known as the "Garden Isle," is famous for its jagged green mountains, white-sand beaches and tropical landscapes. More than 60 Hollywood movies have been filmed here, including Jurassic Park, Outbreak, Blue Hawaii and the TV shows Fantasy Island and Gilligan's Island. Not only is the Big Island the largest of all the Hawaiian Islands, but it's also home to the largest contiguous ranch in the United States. Parker Ranch near Kamuela is 480,000 acres big. Ka Lae on the Big Island of Hawaii is the southernmost point in the United States. Visit here and you'll notice a constant 27 knots per hour wind blowing east to west, 24 hours per day and 365 days per year. Kilauea volcano on the Big Island is one of the largest and most active volcanoes in the world. The Big Island's Mauna Kea is the tallest mountain in the world when measured from its base at the ocean floor. It rises 13,796 feet (4,205 m) above sea level and another 17,000 feet (5,181 m) extend to its base below the ocean's surface. The Big Island of Hawaii is home to the world's biggest telescope. It's located on the top of Mauna Kea. The Mauna Kea Observatory is at an altitude of 13,796 feet (4,205 m). Lake Waiau on the Big Island is the third highest lake in the United States and one of the world's highest alpine lakes. It's located at an altitude of 13,020 feet (3,968 m). Lake Waiau is 12,000 years old and the only glacially formed lake in the mid-Pacific Ocean. Loihi Seamount, an undersea volcano located southeast of the Big Island, may emerge in a few thousand years as a new Hawaiian island. Molokai's north shore is home to the world's largest sea cliffs (more than 3,000 ft/914 m high), Hawaii's longest waterfall (Kahiwa Falls - 2,165 ft/660 m tall) and Hawaii's longest white-sand beach (Papohaku Beach - about 3 miles (4.8 km) long). Kalaaupapa on Molokai was once a leper colony. It was administered by Father Damien, a Flemish Catholic missionary, who later died of leprosy himself in 1889. The largest rubber-lined water reservoir in the world is in Kualapuu. It can hold over one billion gallons of water. The first Hawaiian fossils were discovered in sandstone at the Moomomi Dunes. The island of Lanai was once the home of the world's largest pineapple plantations. At one point, the island was producing 75 percent of the world's pineapple. 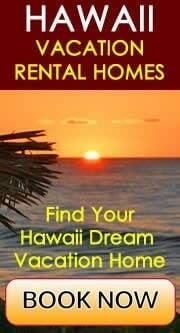 In ancient times, it was assumed that evil spirits rule the island of Lanai. Kaululaau, a young man and son of a Maui chief, was sent to Lanai to investigate the island and deem it free of evil spirits to make it suitable for settling. Lanai has only three paved roads. The island of Kahoolawe was once used as a target by the United States Navy and Air Force. It is uninhabited and up until today, it is off-limits to visitors. Kahoolawe has been returned to the state in 1994 and is currently being cleaned up by the U.S. government. On March 18, 1981, Kahoolawe was added to the National Register of Historic Places. At that time, the island was home to 544 recorded archaeological or historic sites. Niihau is Hawaii's "Forbidden Isle." It's a privately-owned island and access by the general public is highly limited. The island's population is 230. Niihau is owned by the Robinson family, whose ancestors bought it from King Kamehameha IV over 100 years ago. 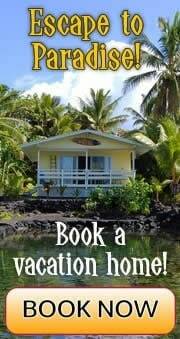 One can only visit it by invitation from the owners or one of the Native Hawaiians who live there. The coral reefs in the Northwestern Hawaiian Islands make up about 70 percent of all the reefs in the United States. The Northwestern Hawaiian Islands are a National Monument since June 15, 2006, when George W. Bush issued a public proclamation that created the Northwestern Hawaiian Islands Marine National Monument under the Antiquities Act of 1906. In 2007, it was renamed to Papahānaumokuākea Marine National Monument. The Monument encompasses 140,000 square miles (360,000 square km) of ocean waters, including ten islands and atolls of the Northwestern Hawaiian Islands, making it the largest marine wildlife reserve in the world. It's about the size of California. The Northwestern Hawaiian Islands are home to more than 7,000 marine species, a quarter of which are found nowhere else in the world. One such marine species are the approximately 1,400 surviving Hawaiian monk seals, which is the entire population of this endangered species. The archipelago is also the breeding ground for 90 percent of the endangered Hawaiian green sea turtle. It is also home to an estimated 10 million birds, including three endemic species of land birds and 18 species of seabirds. Most of the Northwestern Hawaiian Islands were discovered by accident. Some islands (Maro, Lisianski, Pearl and Hermes, French Frigate and Kure) were named after ships or captains of ships that grounded on the treacherous reefs that surround these islands.